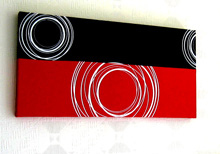 For the best in digital canvas print quality and durability choose Superchrome. We have a team of graphic designers to help make your digital canvas print that extra bit special. Our low prices and high quality materials ensure your print stands out from the crowd. For a unique print choose the best technology printing and colour matching with Superchrome. Superchrome has many repeat customers that include artists, photographers, small and large businesses, advertising agencies and individuals. Therefore, whether you are looking for a print for your home or office, Superchrome can help. A high quality digital canvas print can make all the difference in home interior design. We print onto 100% cotton canvas for the best printing finish. Our printers are HP Designjets, all at the latest large format printing technologies. Inks are high quality and eco-friendly for extra durability. This means your digital canvas print will last a very long time. You will notice the difference when you go digital. Digital means no loss of quality, extra fine detail and strong colours. You can even choose to go monochrome for that unique and contemporary minimalist look in your home or your customer’s home. Our canvas sizes start at A4, which is the smallest size. Go larger and select fantastic stretched canvas sizes A3, A2 A1, A0, A20, or if you prefer unstretched choose from A2, A1 A0, 2A0, 20x30, 30x40, and 60x40. All customers need to do is to select the relevant size and amount of digital canvas print that you desire from our website. Customers may upload their own digital image or choose from an online gallery of thousands of images. We also offer a design service, which is popular for businesses who wish our team of graphic artists to design advertising campaigns and business graphics. We also offer a heavy weight artist grade canvas for that extra special digital canvas print. Thank you for visiting Superchrome today. We look forward to helping you with your order. Call our design team for advice. Superchrome is waiting to send your beautiful prints.